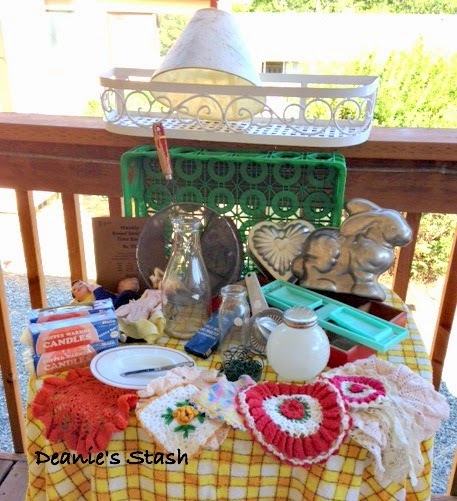 Welcome to the next installment of Thrifty Things Friday! This past week I wrote about more of my vintage Christmas listings, some Soggy Saturday Scores, and made a video tour of my booth. Let's get on to this week's featured post. Thanks for the party, Melissa! I'm on my way to check out your shop video! I am jealous - green with envy, in fact - your booths and Rita's booths both are amazing. I got the call this afternoon that both of mine are total wrecks, but at least furniture sold! Thanks for all the vintage stuff. And for Killer Queen which continues to resound in my head.